Wall mountable. Ø20 mm cable entry via rear or side conduit entries. Recommended 3-4 metre mounting height. 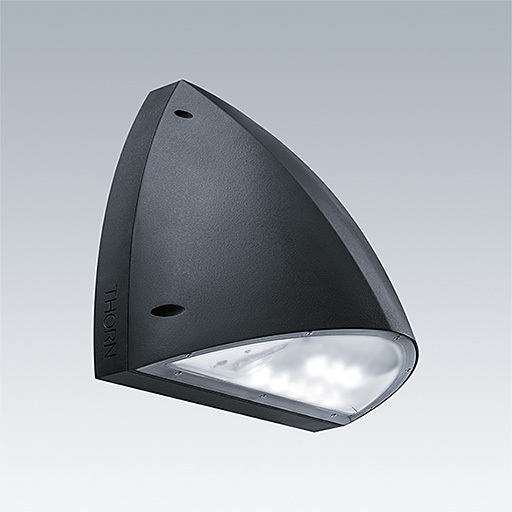 IP65, IK10 vandal resistant wall mounting luminaire in anthracite (RAL 7016) with less than 2.5% ULOR. In polycarbonate body & cast aluminium back-plate. 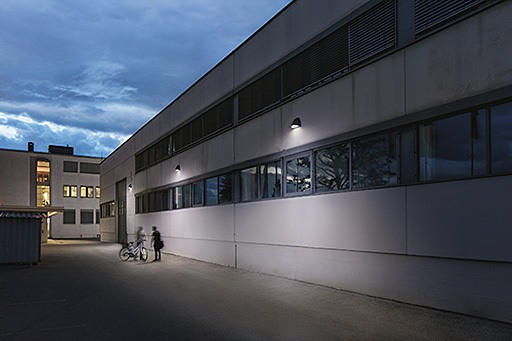 1690 / 2700 lumen output with fixed output or DALI dimmable control gear / integral photo sensor / integral manual or Self/Addressable test 3 hour emergency lighting options. As Thorn Piazza II LED.